Wu Wei - have you ever heardt about it? Maybe you came across Yin + Yang and maybe you can relate it to chess. Well, then it is time for Wu Wei! 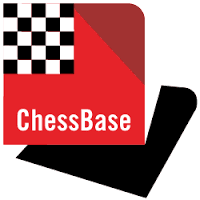 I read about it just today in Rowson´s book "Chess for Zebras". During the Grenke Chess Open (formerly known as the Deizisau Open) I had one match were I reached a position where (i) I controlled the kingside, (ii) the centre was blocked and (iii) counterplay on the queenside was yet not possible. It was NOT a kingside attack (unfortunetally) and I put all my energy into making it a kingside attack, but there was none. In this situation my coach (as well as Komodo 9.3) advised to gain some space on the queenside and BLOCK it! This would have resulted in a position where my opponent would have been left with hardly a decent move (which would not worsen his position)! That´s Wu Wei! That´s what I have to keep in mind from now on: don´t overdo it, don´t try to force things (unless really necessary), keep the whole board in mind and allow your opponent to make mistakes!